Superior quality detached three-bedroom bungalow benefiting from a quiet situation within this prestigious development of high-quality award winning homes. Complete with garage, lockblock driveway and surrounding garden, this excellent property benefits from gas-fired central heating, double glazing plus Brazilian hardwood fittings throughout. The accommodation is all on one level and comprises: reception hallway, lounge with patio doors to the garden, dining kitchen, master bedroom with ensuite shower room, two further bedrooms (one with walk-in wardrobe), family bathroom and utility room. Superb opportunity to purchase this impressive extended 4 bedroom traditionally built cottage within generous garden grounds extending to approximately 40m x 40m plus several outbuildings including an 8m x 5m timber Garage and a Stone built 2 storey garage. Enjoying a convenient situation within Mosstodloch, this highly desirable property offers the complete family package for those looking for generous and versatile accommodation along with a huge outside space, multiple shed plus an office over the garage facilitating work from home possibilities. Excellent detached family home enjoying sought-after residential situation close to the Elgin Academy and Bishopmill Primary School. 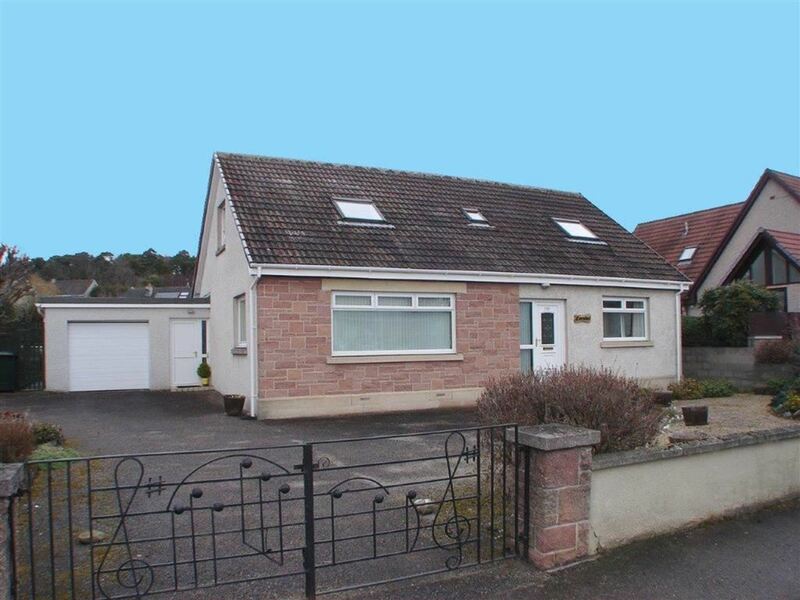 Excellent detached three-bedroom bungalow enjoying a lovely open corner situation within this well established and popular area of Bishopmill in Elgin. 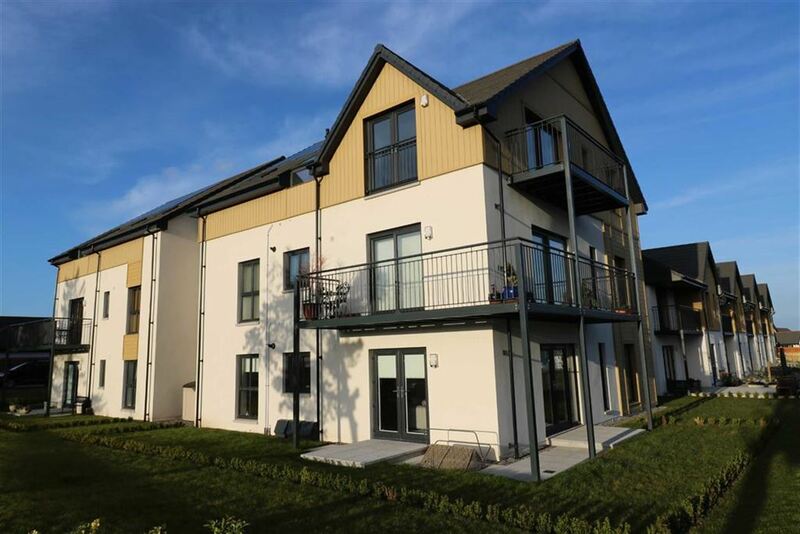 Stunning first-floor apartment with wraparound balcony, tastefully appointed and beautifully throughout with views over the 12th fairway and the rear of the Golf Club. Interested parties should note that the already high specification apartment has had several additional improvements made and an internal viewing is essential. Detached 4 bedroom house offering comprehensive accommodation in good order and benefitting from a professional Garage conversion and an ongoing upgrading and regular maintenance programme including decorating, new patio doors, contemporary radiators and replacement of en suite, bathroom and guest wc. Detached one and a half storey house enjoying a quiet cul-de-sac situation in an extremely convenient location of the town, an easy walk to town centre. The accommodation is versatile and well laid out comprising: entrance vestibule, hallway, generous lounge, breakfasting kitchen, dining room, rear lobby, guest WC, integral garage and study or downstairs bedroom. The upper floor offers 3 bedrooms and the family bathroom. Externally the property benefits from a very manageable garden (including a sun trap at the rear!) with lots of parking plus a garage with integral access to the house.